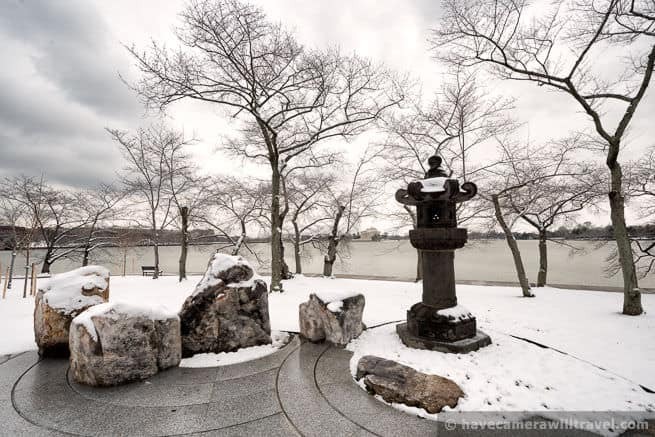 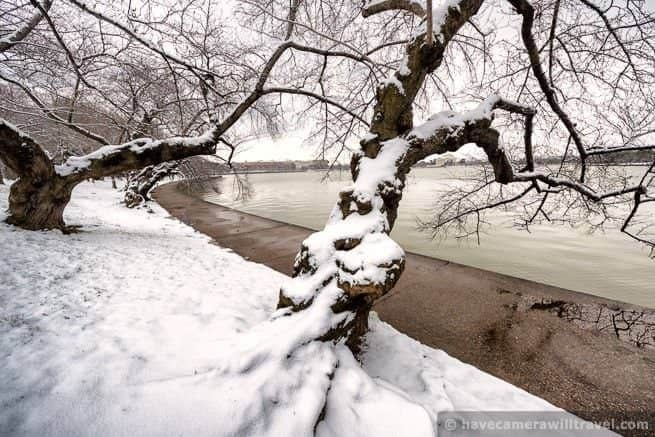 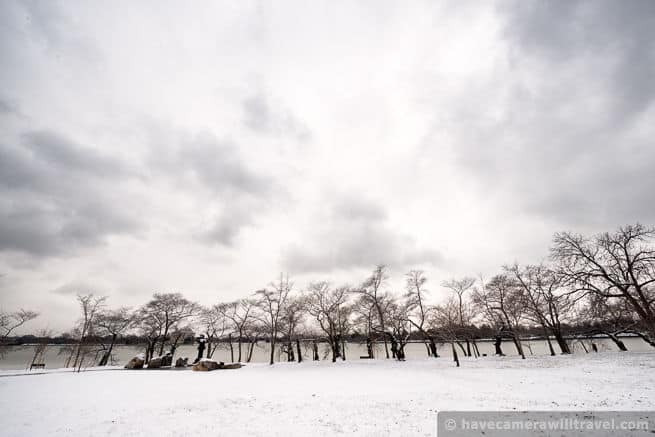 Warm weather appeared long enough over the weekend to melt the ice on the Tidal Basin, but winter is back, with more to come. 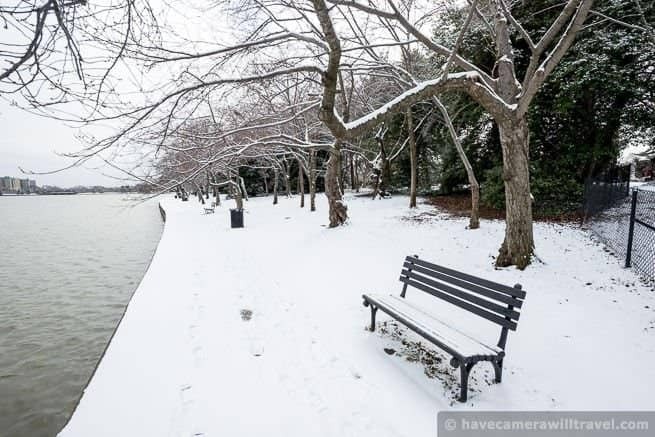 A couple of inches of snow yesterday morning and another inch or two this morning have helped make Washington look like winter wonderland, albeit briefly. 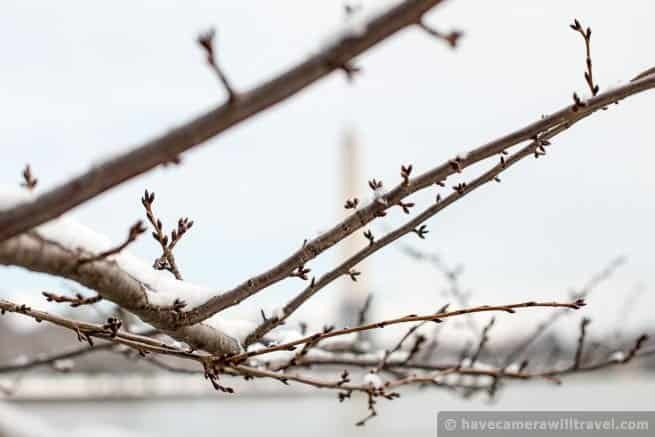 There's no official forecast yet for when the cherry blossom peak bloom is predicted to occur, but the colder than average winter suggests that the bloom will probably be later than usual this year. 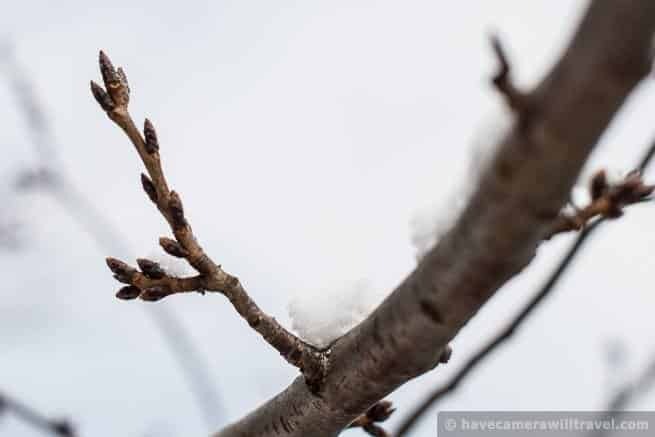 And from the close-ups of the buds, you can see that they still have a long way to go. 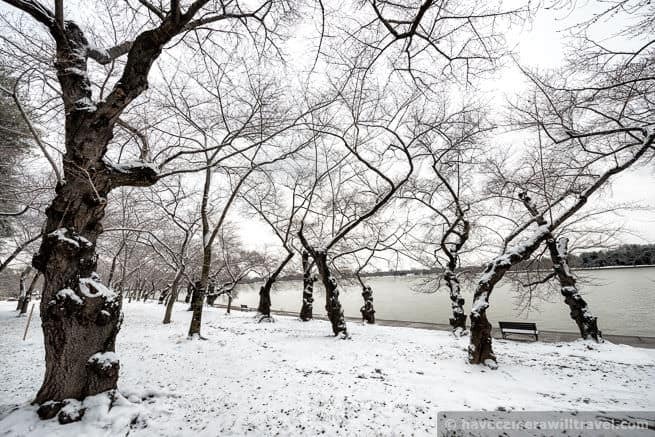 The NPS experts typically issue their first prediction around early March. 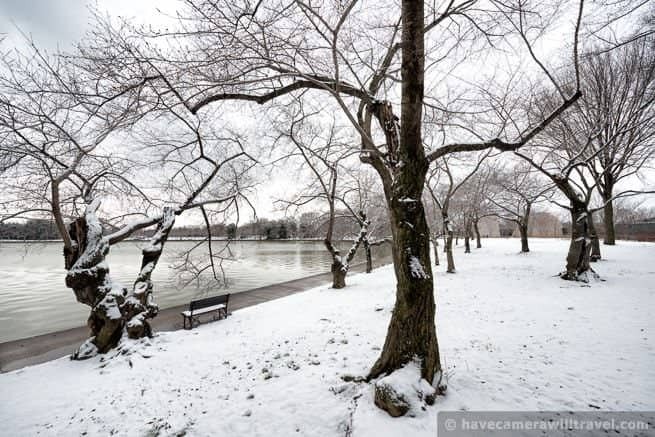 As soon as they do, I'll add it to the 2014 cherry blossom peak bloom forecast page.